The Bible presents only a small portion of the laws necessary for a state to function. Nevertheless, whole tractates of the Talmud discuss a wide variety of legal issues both civil and criminal. Although the jurisdiction of the beth din was limited in every land where Jews have lived, the scholars felt that it was important to develop a system which dealt with every aspect of life. Quite a few of the issues were discussed at a purely theoretical level. But faced with specific problems in their respective communities, the rabbinic scholars were forced to be practical and go beyond the traditional halakhah in order to protect the community. 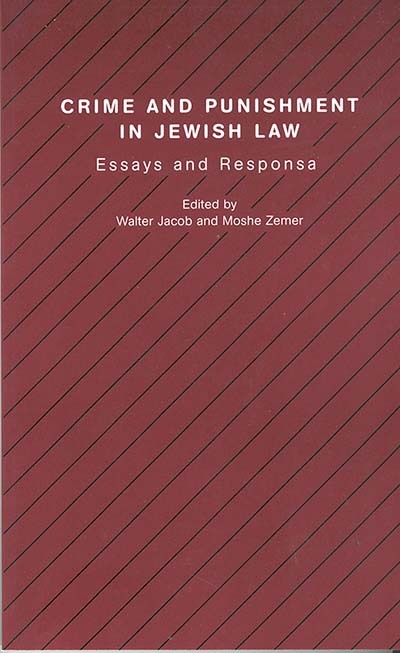 This mixture of idealism and reality shape the later rabbinic discussions, some elements of which have been incorporated into modern Israeli law, but also shape modern Jewish thinking in the Diaspora. This area of the halakhah has been rather neglected, but this volume will no doubt stimulate further research. Chapter 4. What is Punishment?